A good nail art has always been very dependent to its base polish. The art itself would not be as effective at is would be if the base polish is not the favored color of the bearer. Different women have different favorites and for today, we would like to concentrate to one of the most unique, the color that has no rhyme, orange. Orange is really an unusual color for a nail polish. Only a few women out there would dare to try putting it on. 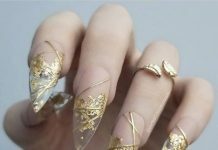 However, with the advent of nail art, there are new designs that compliments to the color thereby creating spectacular outputs. 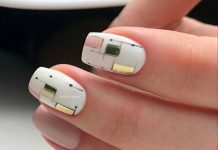 Now, nails would no longer be looking like pumpkins or candies, but rather they transform into bright eye-candies that are irresistible to have. 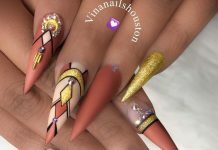 Check out some of the best orange nail art we found in the web and be convinced to the movement. Orange is the new “it” and people are starting to bandwagon for it. Don’t miss this chance to be part of a big change.Take a look at these 42 Trendy Orange Nail Designs for everyone! On the other hand, you may also check our 30 Enchanting Navy Blue Nail Designs for further inspiration!